The holiday season is a time to celebrate family, accomplishments and good fortune. However, for many parents in Munich, Germany, the holidays are filled with doubt over how they will afford to spread cheer to their children. For the sixth consecutive year, our colleagues in Germany, in partnership with the city of Munich, participated in “Patenprojekt München,” an initiative to provide homeless and refugee families with gifts at Christmas. In 2017, they fulfilled the Christmas wishes of the children, ranging from ages 2-15, by buying Christmas presents at their own personal expense. 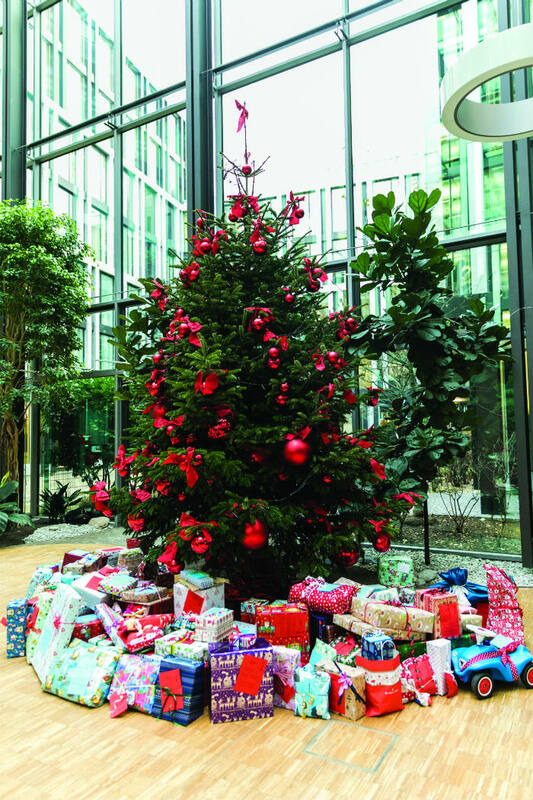 The celebration took place at our local office in Munich, where colleagues hosted a festive holiday tea party for approximately 50 guests, including city representatives, parents and children. Han Steutel, General Manager in Germany, stood in for Father Christmas and distributed the gifts to the children in attendance. The city of Munich worked diligently to deliver the presents to all families, ensuring that they were smiling during Christmas. For Dorothee von Saldern, an employee volunteer for Patenprojekt München, the motivation to further the program comes from a simple facial expression.